This is KTM’s first direct onslaught in the world war of bike manufacturers seeking to build the best 1200cc adventure bike; a war started by the Germans with their BMW R 1200 GS and its predecessors. 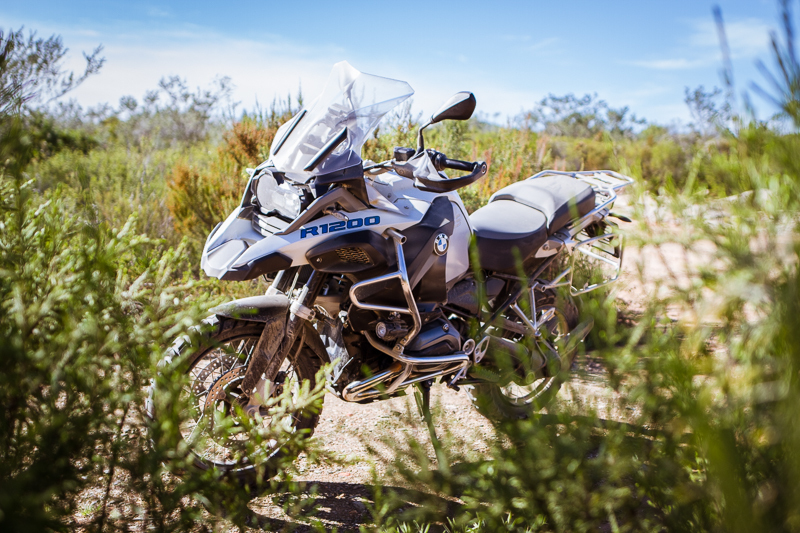 Other manufacturers rolled out their weaponry one by one, but none could claim much of the 1200cc adventure market that BMW has thrived on in the past decade and more. 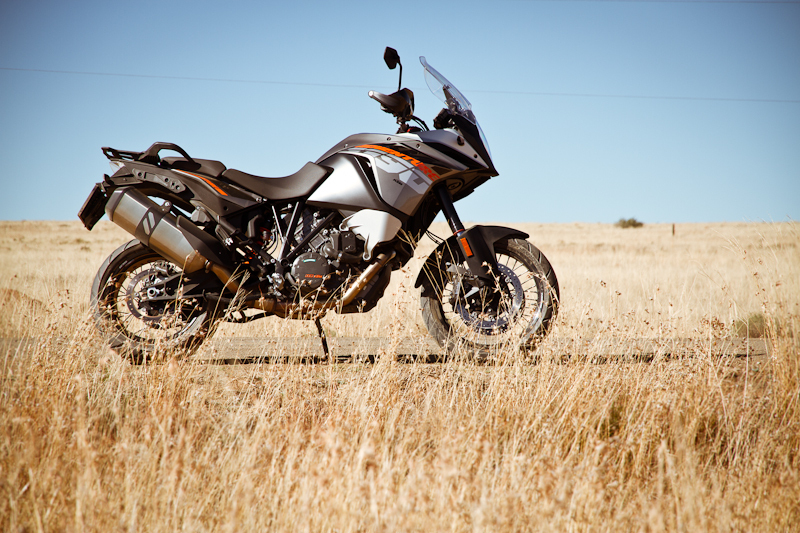 Then KTM launched its 1190 Adventure earlier this year and it made the competition orange with jealousy. 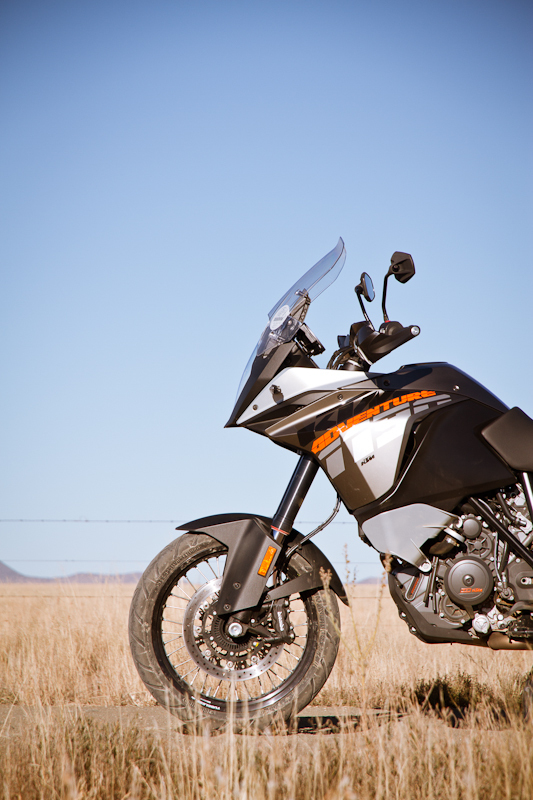 The KTM 1190 Adventure is a completely new bike, but the KTM factory uses one of its existing engines for propulsion: that of the KTM RC8 superbike. 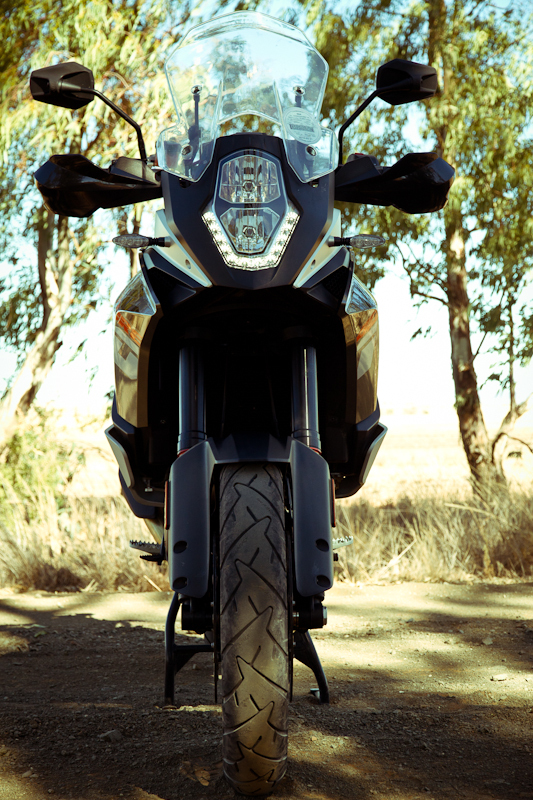 Now this should already be a warning that the 1190 Adventure has tremendous pull: 110kW and 125Nm – to be exact – from a 1195cc twin-cylinder, water-cooled unit that does remind you of its heritage when you twist the throttle. KTM didn’t , however, follow this market’s fashion to use a shaft as final drive. The final drive is a chain. 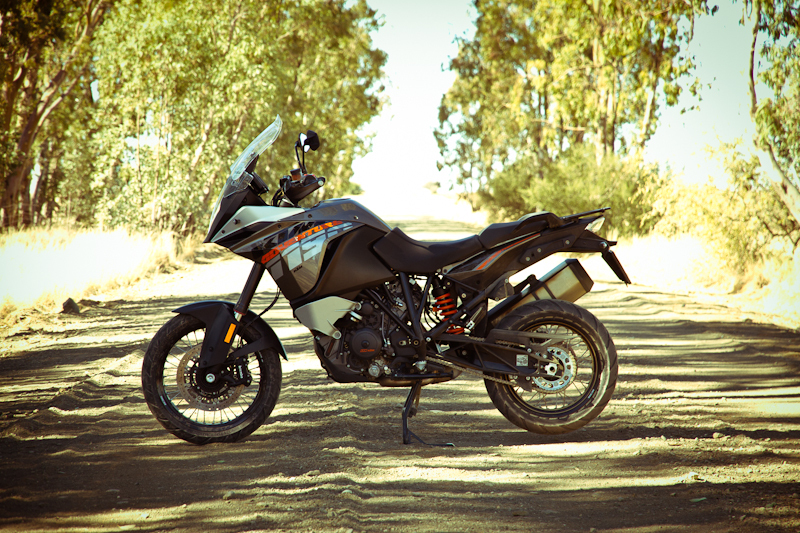 Every 1200cc adventure bike launched over the past few years features electronic rider aids. 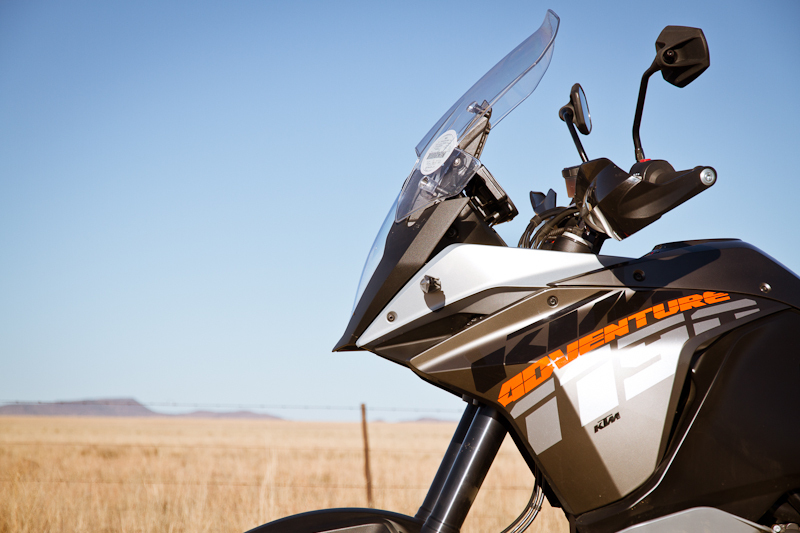 The 1190 Adventure is no exception. The ABS is cleverly designed for off-road use. When the front brake lever is pulled, the rear brake is always applied purposefully in parallel in order to optimise ride stability when braking. In off-road mode the ABS allows the rear wheel to lock when breaking is applied, but still regulates the front. Or you can ride with the ABS fully deactivated. The only complaint about the ABS is that it takes a bit of time and pushing of buttons to turn it off. You have to go into the onboard computer’s menu as there is no ABS button to hold down. And when the engine is switched off and started … yep, then it’s back to default and the ABS is on again. Off-road: Up to 100% slippage, i.e. double wheel speed, for ambitious off-road use. The MCT can also be switched off, but reactivates when you switch the bike on after that quick photo stop. The four riding modes influence the power delivery, the ABS and MTC (as explained above). The Off-road setting limits the power to 75kW, the ABS is only active at the front and the MTC allows 100% wheel slippage. In Sport mode you’ve got all the power, the ABS is active at the front and rear and only a little slippage is allowed by the MTC. You can select any riding mode and then switch the ABS and MTC off if you like. The various riding modes can be selected while riding. The suspension on this bike for the front and rear is electronically adjustable. You can choose from three different damper settings (Comfort, Street and Sport) and from four pre-defined settings (Solo, Solo with luggage, Two-up, and Two-up with luggage). Then there’s an anti-hopping clutch which helps when gearing down. Your back wheel won’t lock up or “hop” when gearing down. A steering damper is fitted and it keeps the front of the bike absolutely stable. The display in front of you consists of an analogue rev counter, with your speed, fuel gauge, heat gauge and gear indicator shown digitally. Another LCD screen shows whether the adjustable features, such as ABS and MTC, are switched on or not. I could write a song about this bike’s performance. When you pull off for the first time and twist the throttle you get quite a fright. It is a beast possessed. Then you realise the RC8 is alive beneath you. Luckily you can choose one of the more domesticated riding modes while getting used to all that power. The torque is unbelievable and available at every instant. The bike is super-fast and I had it at 250km/h before slowing down. It felt as if it wanted to take me to 300 km/h. 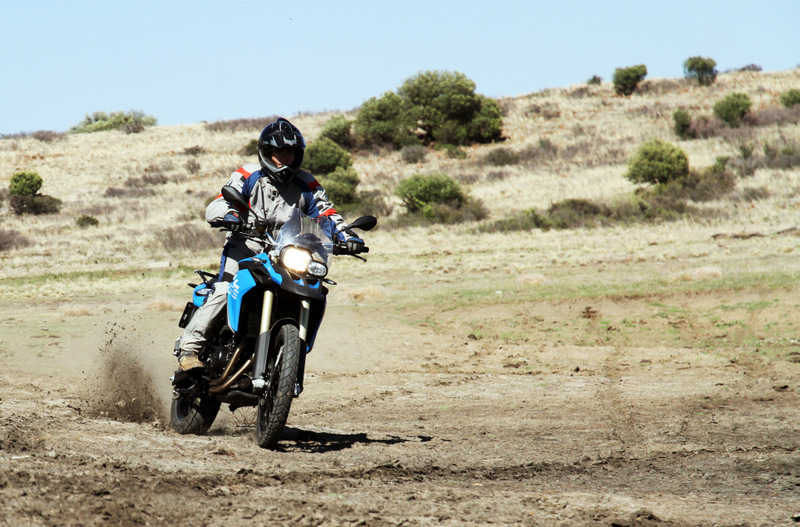 On gravel and in Sport mode, with all the power available and with the electronic aids off, some riders will struggle to keep the bike under control. That’s when Off-road mode makes it a lot easier. Despite it being a big adventure bike, the 1190 feels very light. It actually feels like a supermotard and I quickly got used to it and rode with great confidence. Wet weight is 235kg, but it feels lighter than that. The WP-suspension works excellently, as usual. And the different set-ups you can choose from help a lot when going through different types of terrain. Most of the time I rode in Comfort mode, even on the dirt tracks, and it never bottomed out. I rode very fast over nasty corrugated dirt roads and never experienced any headshake or tank slap. 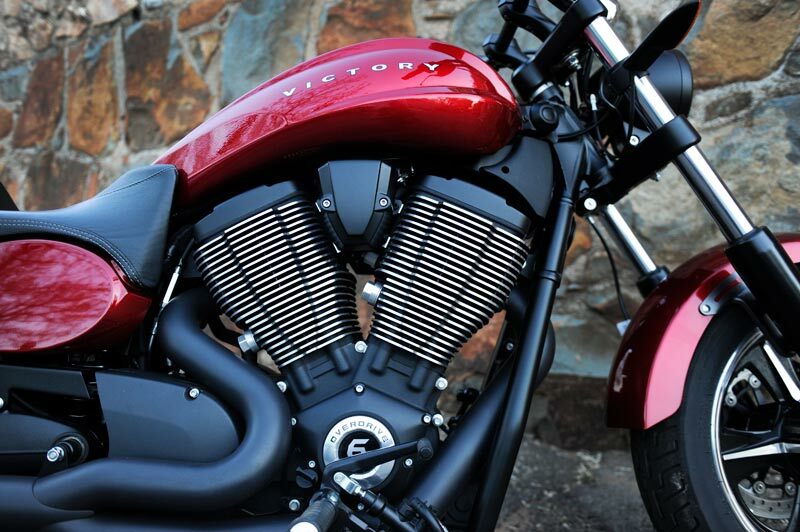 The steering damper keeps the bike’s steering incredibly stable. The ride on this bike is great. It’s a superb adventure bike on gravel and a very comfortable superbike on tar. My only complaint is that the seat felt a bit too wide when I stood up on the pegs, and I felt as if I sat in the seat foam later on, as opposed to sitting on it. It’s too soft. Like: The whole bloody bike, but especially the great power and solid, but lightweight feel of the ride. Dislike: The effort to get the ABS and MTC tuned off and the fact that it goes to default every time the bike is switched off. Warranty and servicing Two-year warrantee, unlimited mileage. Two-year AA-road assistance included. Service intervals every 15 000km. 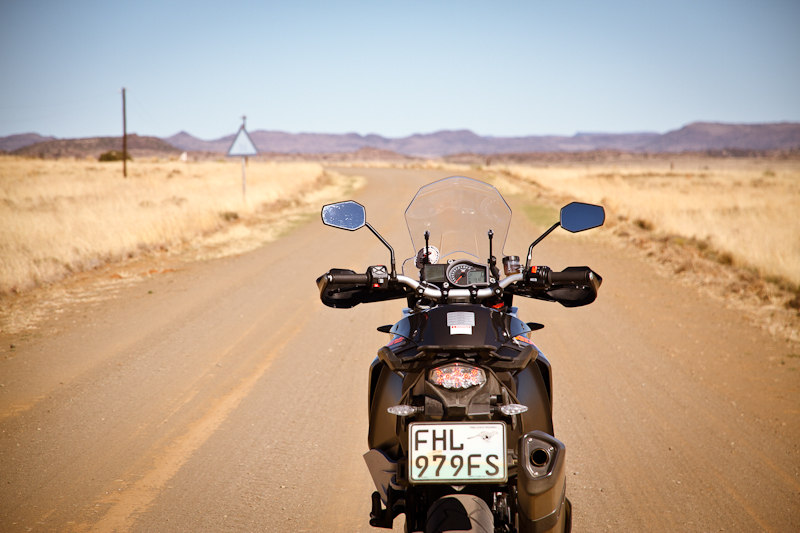 A big thanks to Daphne and Duggie Allison from KTM Bloemfontein (Marathon Motors) for giving us their bike to ride.